Healthcare Facilities | Argus Environmental Consultants, Inc.
Asbestos is a naturally occurring mineral that was once used for insulation in commercial properties and housing. However, these minerals have been discovered to have adverse health effects. USP standards are set to help companies and employers stick to well-known, scientifically sound procedures and practices, and keep the quality and consistence of FDA approved medications. This area covers the analysis of company's industrial and manufacturing processes. 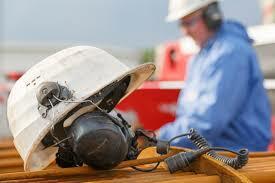 This applies to all potential workers' exposure to hazards.